"Cow is the source of progress and prosperity. In many ways it is superior to one’s mother." Even during medieval periods, cow and its progeny were protected by the Rulers. During Muslim regime and particularly the Mughal period, right from Humayun to Shahjahan and Shah Alam there was complete ban on the slaughter of cow. It is from British Raj, who considered cow just as cattle and a good source of meat regardless of its religious significance. And it is after Independence, with the impact of the western world and growth of cities and towns, the entire socio-economic patterns of life got revolutionized solely on the basis of materialistic considerations. And it was on 19th November, 1947, Government of India appointed a ‘Cattle Preservation and Development Committee’ who studied how agencies like Gaushalas, Cattle Protection Societies, and Salvage Centres could be utilized for preserving cattle wealth and promoting its development. Well with the aforesaid information since from Vedic period to Post Independence Era, the point Manav Kartavya is making here is even now, almost 9 out of every 10 Gauashalas are running in the same traditional way i.e. concentrating only on protection of cow and cow milking, and not giving any thought on harnessing the vast resources available with them in the form of cow dung and cow urine. As you know no Hindu ritual (puja) is complete without Panchagavya or the five sacred elements from the cow: milk, clarified butter, curd, urine, and dung.Cow dung serves priceless functions ranging from in organic farming as the best fertilizer, in cooking as fuel, in providing thermal insulation as lined on the floor and walls of homes, and in rendering a stable source of electricity as biogas.While Distilled cow’s urine (Gaumutra) is a miracle medicine that cures a broad spectrum of diseases: from skin disorders to diabetes to cancer. 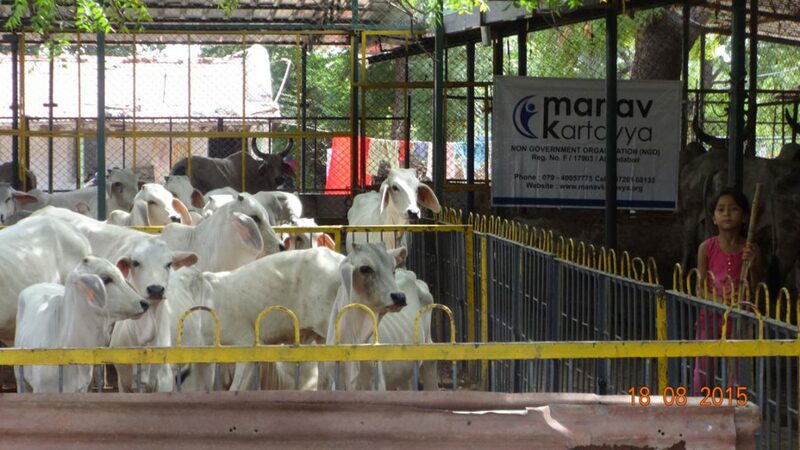 There are hospitals in India which have demonstrated the success of Gaumutra in curing chronic ailments.In a nutshell, Manav Kartavya wants to emphasize that apart from providing basic protection to cows through Gaushalas, its higher possibilities can definitely be transcended by making the best use of their so far under-utilized resources viz. cow dung and cow urine. 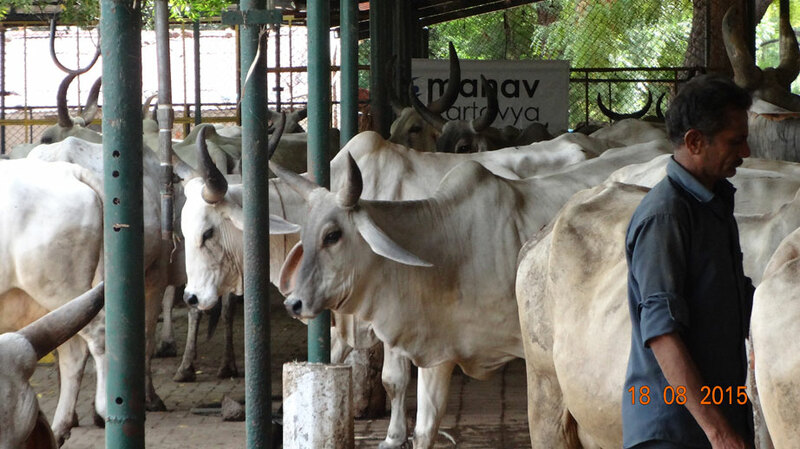 Well according to some officials, the ratio of 20 cows per 100 people is viewed as a healthy count for cows. However, due to cattle not producing milk yields, they are being slaughtered. Hence soon, can you imagine that there will be the ration of only 5 cows per 100 people! The key to reverse this statistics can only be available through Gaushala. Now, are you looking for an opportunity to maintain the giver of Health, Wealth, and Devotion?